After cleansing, massage gently into damp skin, or mix with water/cosmetic water and apply. Avoid skin around the eyes and lips. After 10-15 minutes, rinse with lukewarm water. The Skin Food Rice Mask Wash Off containing rice extract has an effect on moisturizing your skin and brightening tone. In addition, it can leave your skin bright, soft and lustrous. 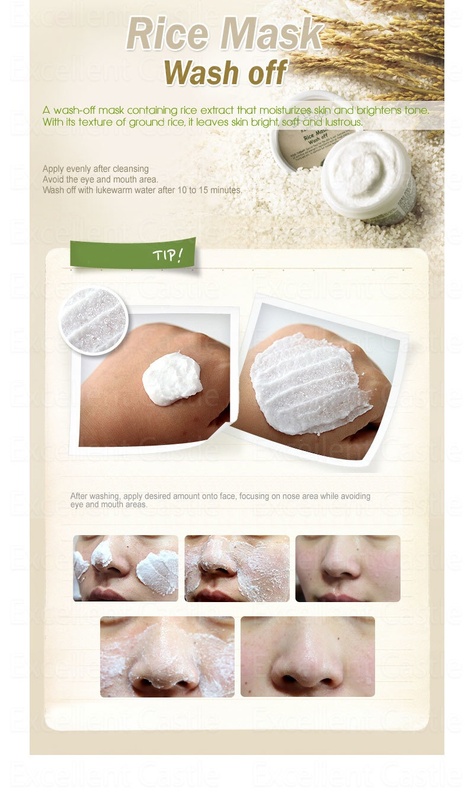 In addition, the mask can also leave your skin smooth and sooth irritation and acne. More importantly, the product is suitable for all types of skin.